AMS provides a full service in aerodrome and airport management requirements. Our Key Performance Indicators include successful audits from CASA and other auditing bodies. Aerodrome Management Services employs industry experts with extensive aviation experience who are able to cater to the needs of our clients and the air operators utilising the aerodrome. 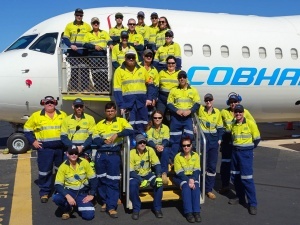 We also provide Perth head office support to all of our airport managers. As our name suggests, Aerodrome Management is a major component of our business. Our experienced aerodrome managers can look after the day-to-day operations of your facility, whether its a remote runway or major regional aerodrome. Aerodrome Management Services provides consultancy services to aerodromes and airports throughout Australia. We currently assist over 100 airports nationwide. Our experienced team provides assistance with maintaining CASA and other regulatory compliance, including reviewing and updating manuals such as the Aerodrome Manual, Aerodrome Emergency Plan, Drug and Alcohol Management Plan, and the Transport and Security Plan. Our technical experts also provide assistance to clients whose core business is not usually managing an aerodrome. We are available 24-hours a day, 7-days a week to provide assistance to aerodromes who need the help immediately.